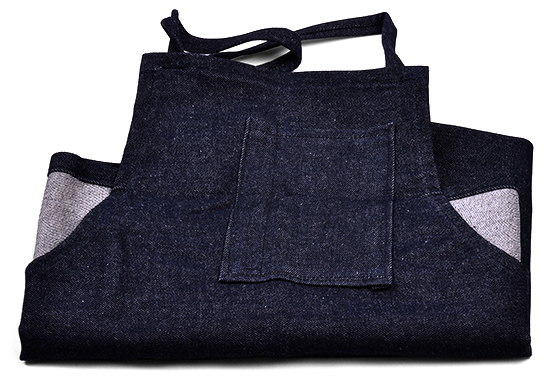 This work apron is heavy duty and protects your clothing from shop dust and grime. It is made of heavy blue denim with tie strings, and it is hemmed. There is a handy pocket for pens, eyeglasses, etc. Shop Roll 320 Grit - 50 yds. Shop Roll 100 Grit - 50 yds. Shop Roll 180 Grit - 50 yds.